NOT OVERHAULED. NOT REFURBISHED. IT’S RE-LIFE. The IKHANA Twin Otter X2™ is unlike any Twin Otter aircraft on the market. Operators can now get the same dependability that legacy series Twin Otter operators have come to expect, but without the down-time and high maintenance costs associated with aging airplanes. This increased reliability is due to the fact that the airplane is completely remanufactured during the IKHANA Twin Otter X2™ production process, using “Re-Life” and/or new parts and components. Offered with a brand new interior, new engines, customized avionics, and all new wiring, the Twin Otter X2™ combines IKHANA’s Supplemental Type Certificates (STC’s) to “Re-Life” the entire airplane to a new fully useful life. The Twin Otter X2™ includes the RWMI DHC-6 Re-Life Wing Box™, RMWI DHC-6 Re-Life Nacelles™, RWMI DHC-6 Re-Life Flight Controls™, and RWMI DHC-6 Re-Life Fuselage™ Supplemental Type Certificates (STCs). Each Twin Otter X2™ is customizable to meet the needs of the operator. IKHANA offers a wide variety of products and modifications to meet even the most unique customer requirements. Our team will lead you through the modification process to ensure a successful custom Twin Otter X2™. Contact us to learn more about the detailed Re-Life process that each IKHANA Twin Otter X2™ undergoes. 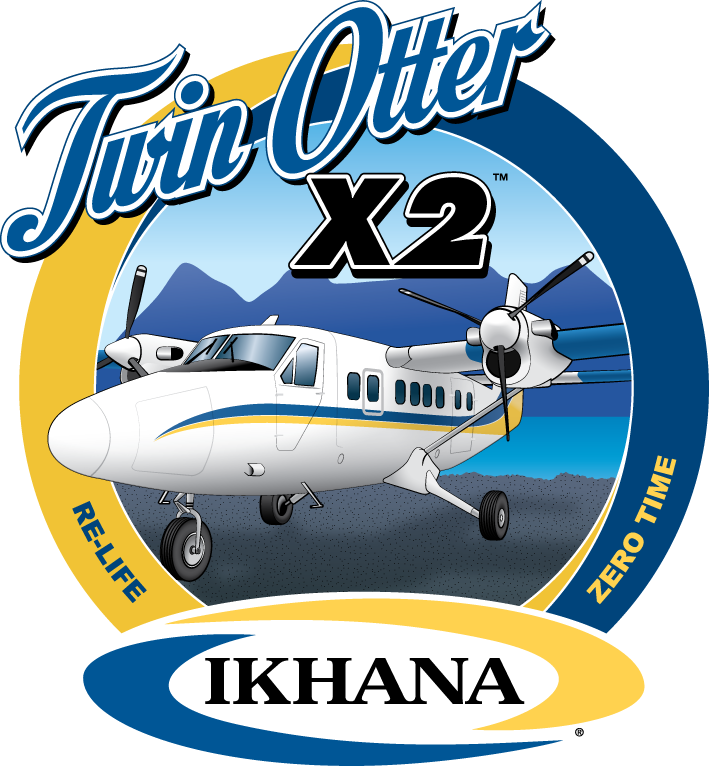 IKHANA can walk you through the Twin Otter X2™ options and tailor a solution specific to your operational needs. 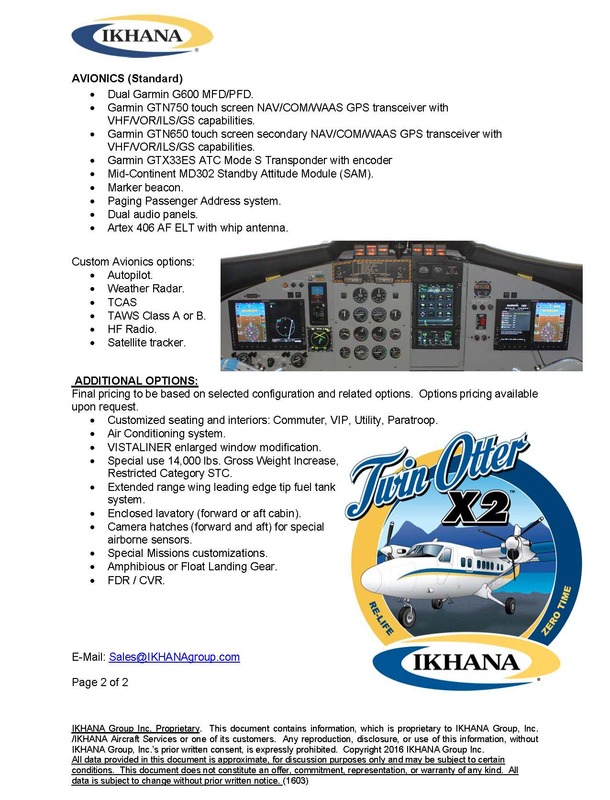 IKHANA currently has a number of Twin Otters X2™ airplanes available for sale. Contact us about available options and pricing to best meet your needs.